Recent new pair of Michelin Pilot tyres, excellent condition, rides really well. Taken in part exchange against a Yamaha TDM900 which we have recently sold to an older gentleman in the North East. Supplied to him by Teasdale Aprilia in Thirsk. Mileage is circa 12,300 miles. The clocks were changed in the bikes early years when it had covered 2063 miles, bike has since covered 9872 miles as of April 2018 which totals 11,935 miles. Due to a flat battery the clocks have reset and the mileage has now reverted to zero which is a common problem with these bikes when the battery goes flat. All of this information is back up by VOSA MOT history and the service history stamps in the service booklet (six in total). 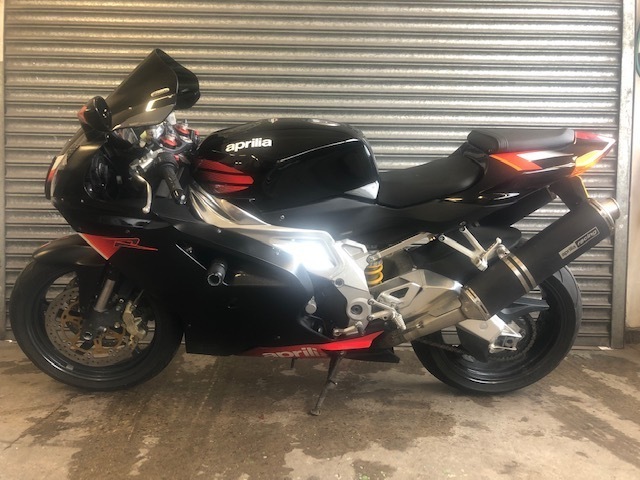 We will include a new 12 months MOT with this bike (current MOT expires in April). We have a book pack with instruction manual and service booklet.Part exchange considered whether it's another bike or a car.